Industrial Systems Ltd. (ISL) is a family owned business located just south of the border between Illinois and Wisconsin in the town of Lakemoor. ISL maintains several warehouses with a staff of well trained employees. We have a small fleet of trucks ready to serve you, all licensed to run in the Great Lakes States. Our founder, Robert Schams, sold concrete products and chemical admixtures in the early 60’s. In 1981 he started ISL which was the first company to sell synthetic concrete fibers to the Northern Illinois area and subsequently we developed our own fiber product called Durafiber. 16 years ago we added liquid Calcium Chloride as a concrete accelerator and not much later began selling it for de-icing too. Eventually we expanded our Calcium Chloride de-icing business to include an entire line of ice melt products, both dry & liquid, from rock salt to airport de-icers. Since we had the equipment to manufacture liquid concrete admixtures already it was natural that we would begin custom blending liquid pre-wetting, anti-icing & de-icing products. 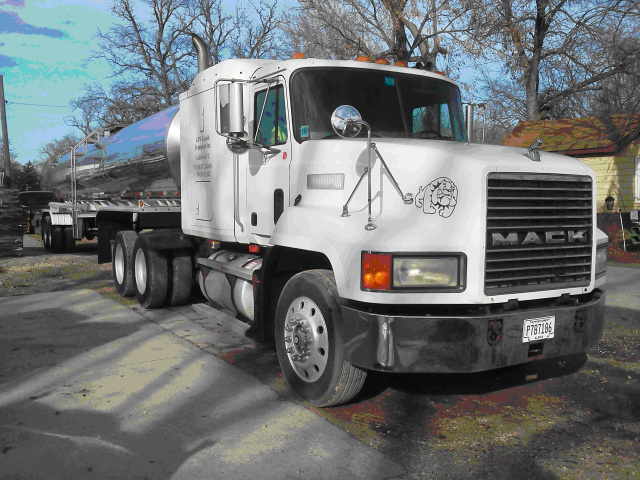 We also sell & install liquid spraying equipment for trucks and salt pre-wetting dispensers for municipalities. We sell ThermaPoint line of liquid Ice Melt Products composed of a Proprietary Organic Polymer from the agricultural industry blended with Calcium Chloride & Sodium Chloride brine. It is primarily used by municipalities. In addition we have our own line of liquid ice melters specifically formulated for contractors under the name InfernalMelt. We endeavor to continue to maintain ourselves as an industry leader, by keeping on the cutting edge, whether it is through use of our in house lab or being available to help you with whatever problem you may have. We are members of APWA, SIMA, ASTM & NSWWA. Our goal is to provide proven engineered products to the ice melt industry, with professionalism, quality, integrity and accuracy in a timely fashion. No matter what your problem let us go to work for you to help increase your profitability.